The floor system of the LEED Platinum-certified home built by Bay-Waveland Habitat for Humanity included BluWood lumber products treated to resist mold, rot, insects, and water. 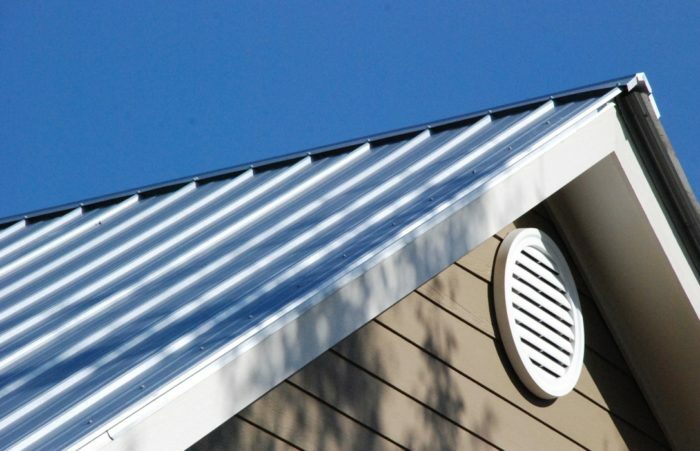 Image Credit: Bay-Waveland Habitat for Humanity The reflective metal roof on the Platinum-certified house is made from 40% recycled material and features Galvalume coating. 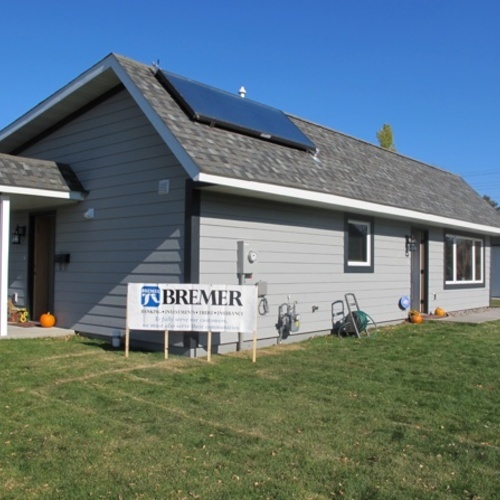 Bay-Waveland Habitat for Humanity also built a home that earned an Emerald certification under the National Association of Home Builders' National Green Building Program. 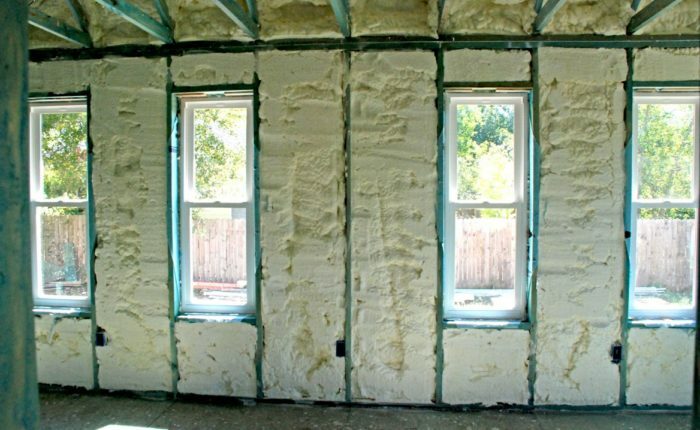 Exterior walls were insulated with open-cell spray foam and constructed using advanced framing techniques that reduced the amount of cut lumber required by an estimated 21 trees. 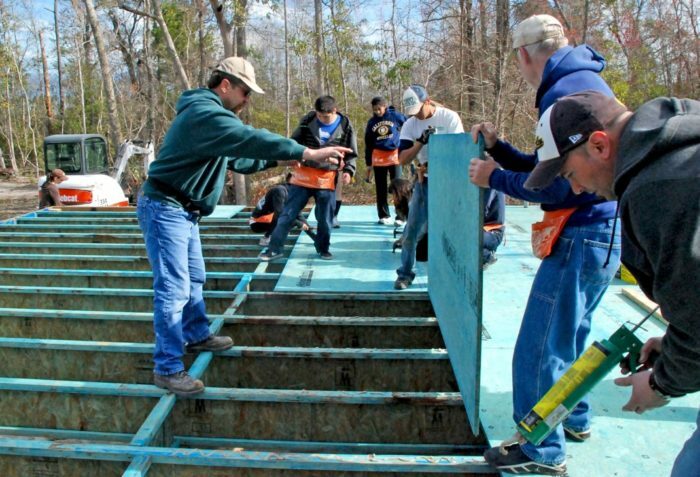 A lot of Habitat for Humanity affiliates have been pushing hard to boost the performance of the homes that they, their homebuyer-clients, and teams of volunteers build, all the while keeping final costs in the affordable realm. 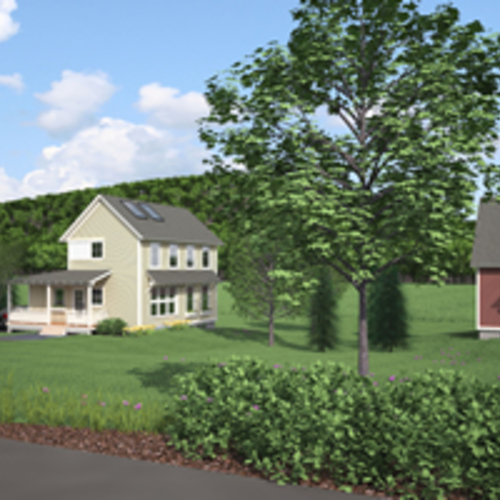 Green Mountain Habitat for Humanity, in northwestern Vermont, has committed to a three-home development in Charlotte in which the first house will incorporate Passive House construction and performance standards. (Groundbreaking for that project was June 18.) 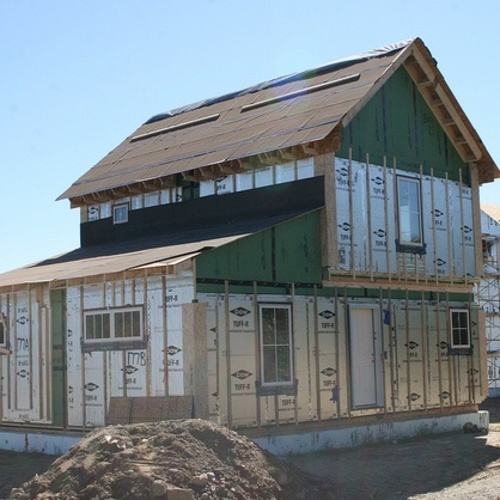 The Habitat affiliate in Prescott, Arizona, collaborated with students from the Yavapai College Residential Building Technology program to help design and construct a 1,200-sq.-ft. home that operates at net zero energy. And one of the 20 contenders in the 2011 Solar Decathlon – a student-and-faculty team representing The New School and Stevens Institute of Technology – is developing a solar-powered Habitat home for residents of a low-income neighborhood in Washington, D.C.
Another affiliate chasing the dream of green and affordable is Bay-Waveland Habitat for Humanity, in Bay St. Louis, Mississippi, which last week announced that one of its builds recently earned LEED for Homes Platinum certification. Perhaps just as important, Bay-Waveland Habitat intends to make improved construction standards routine. One of its homes completed in 2009 earned an Emerald certification under the National Association of Home Builders’ National Green Building Program, and that same year the affiliate committed to build its future projects at least to Silver standards under LEED for Homes or Silver under NAHB Green. That includes homes built for Seal Pointe, the affiliate’s new 42-unit neighborhood. Bay-Waveland Habitat says a big part of its prescription for green is its materials selection: aluminum roofing, cement board siding, open-cell spray foam insulation, low-e double-glazed windows, SEER 15 HVAC units, and low-VOC paints and adhesives. Construction methods include advanced framing, low-impact site development, natural resource conservation, and recycling of construction waste.